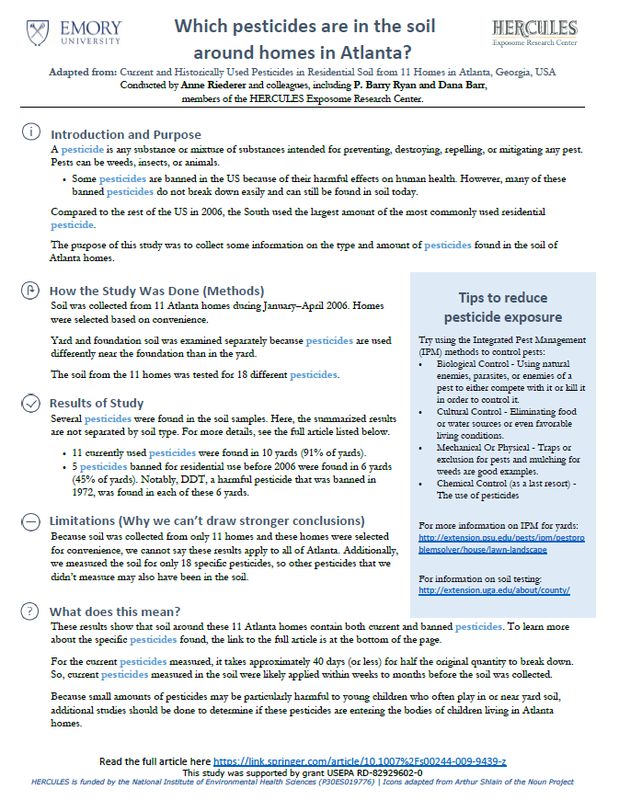 The HERCULES Community Engagement Core, in collaboration with the Stakeholder Advisory Board and HERCULES scientists , created the following 1-page plain-language summary of research conducted by HERCULES scientists P. Barry Ryan and Dana Barr about the amount and type of pesticides found in the soil of Atlanta homes. Click on the image below for a printable version of the summary. The file is downloadable and contains references to the original scientific article.